Explore the questions God asks through Scripture to help you overcome fear, move forward, and make an impact for Him in your everyday life. God asked Adam and Eve, “Where are you?” as a checkpoint for their relationship with Him. God asked Elijah, “What are you doing here?” to bring him out from the places of depression and frustration. Jesus asked Peter, “Do you love me?” to restore their relationship. 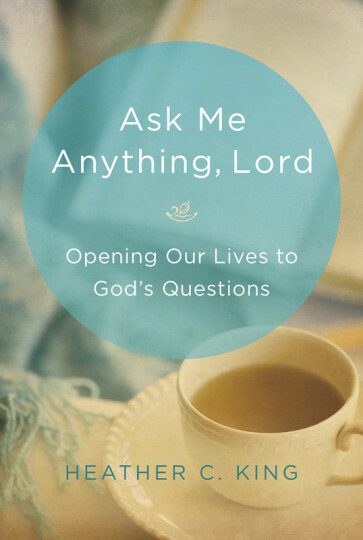 In Ask Me Anything, Lord, Heather C. King reminds you that God can use questions in Scripture to reveal the true motives and intents of your heart, challenge your thinking, and help you overcome. Exploring some of the encounters God had with people throughout the Bible and sharing her own experiences, King encourages you to draw closer to God, receive the fullness of His blessings, and boldly move forward. This soul-searching book includes personal reflection questions, group discussion topics, Scripture memory verses, suggestions for life application, and prompts for journaling—a perfect resource for women’s small group study.